FLIR Systems has launched three new science-grade thermal cameras, the A6200sc NIR, A8300sc HD MWIR, and A6700sc LWIR*. Designed for demanding science and research applications including electronics development, university research, and non-destructive testing, these new cooled cameras deliver exceptional image quality, standardized interfaces and MATLAB integration making them powerful, efficient tools for gathering thermal data. Easy to integrate and simple to use, the A6200sc, A8300sc and A6700sc cameras each use a standard GigE Vision interface to transmit full dynamic range digital video, and GenICam for camera control, making them truly “plug and play” thermal imagers. 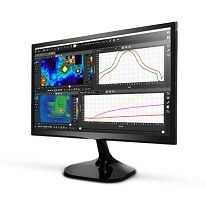 Users can stream temperature-calibrated data over Gigabit Ethernet to a PC for live image viewing and recording. Simultaneously active, yet independently-controlled, video interfaces gives users tremendous flexibility when recording and display their thermal data. 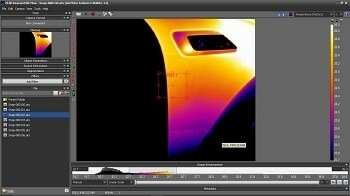 Incorporating FLIR’s ResearchIR version 4.20 software the new cameras offer researchers and scientists a powerful tool to monitor, acquire, analyze, and share captured thermal data. The release of ResearchIR Max version 4.20 gives users direct access to their MATLAB scripts within ResearchIR for the first time. "These cameras strengthen FLIR’s industry-leading A-Series calibrated thermal camera range that are renowned for their unmatched spectral coverage, performance, thermal accuracy, reliability, ease of use, and price," said Vice President and General Manager of FLIR’s Instruments division, Rickard Lindvall. "Once again, FLIR demonstrates world-class engineering capabilities by creating a new high-performance series of cameras that provide coverage of all infrared wavelengths enabling even the most challenging thermal problems to be solved”. Each of the new cameras boasts its own unique features to create a high-performance camera for variety of applications. The A6200sc features a 640 x 512 resolution Indium Gallium Arsenide (InGaAs) detector that produces high quality Near Infrared (NIR) images, making it ideal for laser beam profiling, art restoration, solar cell inspection, and astronomy applications. Its adjustable windowing modes allow for super-fast frame rates to stop rapid events. ailable optics. This model has been designed for thermal electronics inspection, thermal microscopy, materials non-destructive testing, failure analysis, aerial thermal mapping, and industrial R&D applications. The A6700sc cooled Strained Layer Superlattice (SLS) detector produces crisp 640 x 512 resolution LWIR thermal imagery. It features ultra-short integration times to stop motion on fast-moving or thermally-dynamic targets. It also offers wide temperature ranges, allowing you to measure temperature on devices with wide thermal gradients, custom cold filters, and a wide selection of available optics. The A6700sc LWIR is perfect for automotive testing, university research and development, and industrial R&D applications. For further information please visit www.flir.com/science/a-series or contact FLIR Systems on telephone +32-3665-5100 or email [email protected]. * The export of the A6200sc NIR, A8300sc HD MWIR, and A6700sc LWIR cameras from the USA is controlled by the International Traffic in Arms Regulations (ITAR) and requires an export license from the US Department of State.